The Blocfest season is well under way with the first event being a massive success and the second event very nearly upon us we thought it’s time to update you with the latest from Blocfest HQ. Sometimes we forget that all of us in the Blocfest Team have full time jobs – from route setting, to coaching, to being international rock stars for some of us! In addition organising the best possible bouldering festivals we can for all you guys does not leave enough hours in the day... But we absolutely love it! So what’s been happening since the first festival day? The Blocfest elves have been busy in the workshop with more homemade volumes, we also have some amazing new shapes on the way from our main holds sponsor Holdz - as always a massive thanks to them for supplying the holds for the Blocfest circuit and finals. We couldn't do it without you! In addition some new shapes are coming for you guys from our friends in France - Volx. So things are shaping up for an epic second festival date at The Castle Climbing Centre on 8th December. As always the vibe will be wicked with no less than 3 DJs spinning the latest tunes all day to keep you fired up. 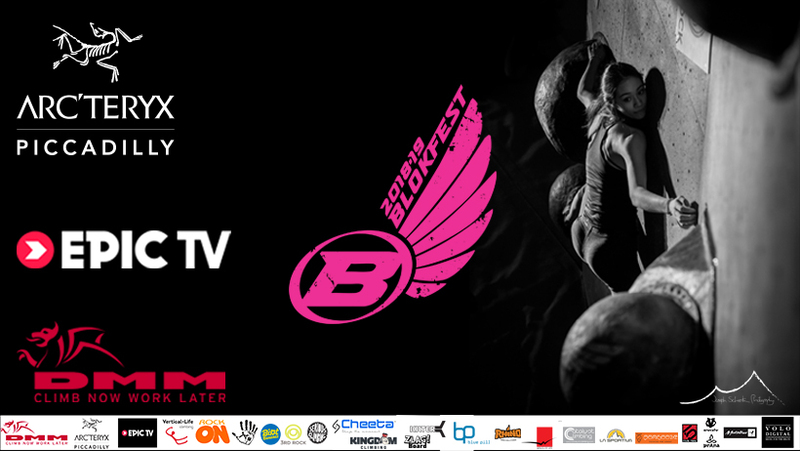 There will be the infamous Blocfest challenges for you to try including the new "Traverse of Terror” and of course the Blocfest circuit itself consisting of 25 boulder problems set by "The Team". After this the DJ turns up the volume for the showcase finals with some serious excitement, lights and Gaz Parry on the mic! If all this isn’t enough we have over £1000 worth of prizes to be given away to you guys, free t shirts, Blocfest merchandise up for grabs, free recovery drinks from Nourish Me Now AND shoe demos from Boreal and Evolv. 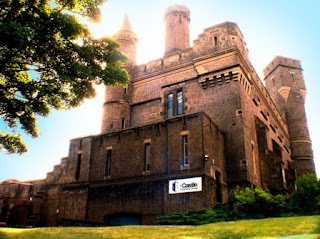 Don't forget, you can simply turn up on the day at the Castle, but to save time you can print off the forms you need on the website. After all this, you would be ready to go home right? - WRONG! An extraordinary collection of adventure and rock sports films from some of the world’s best adventure filmmakers. Featuring alpine legends, amazing adventurers and climbing icons, prepare to be transported through the big screen to mountains across the globe as they attempt to achieve their dangerous lifelong ambitions. 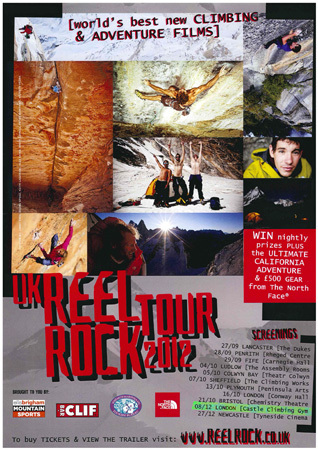 To celebrate the 2012 UK Reel Rock Tour, in conjunction with the Yosemite Tourism Bureau, we will be giving away ‘the ultimate California adventure’ for two people, plus £500 of gear from The North Face as a grand Tour prize. This incredible prize is open to entries from anyone who visits the UK Reel Rock website.